The Door Sensor is a wireless door contact. It goes on each of the entry/exit door leading to the exterior of the home. 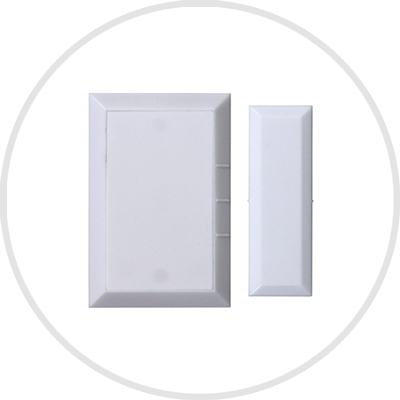 It is designed to alert you every time an entry/exit door is opened or closed. The built-in added tamper protection is reliable, foolproof and dependable. Door alarm sensor are the first line of defense when it comes to home protection by any home security alarm company.